I don't often do book reviews, but this had to be done because of my total dedication and belief in Essentrics, Classical Stretch, and anything having to do with Miranda Esmonde-White! Ms. Esmond-White has done the Fitness Industry a HUGE favor by taking it from it's infancy to a better understanding of how the human body works, and how to keep it healthy, pain-free, and young throughout life! Today, we see athletes actually accomplishing greater and more amazing feats on the track, field, and in the stadiums. But what we don't see behind the scenes is the massive toll on these peoples' bodies! Their joints have become prematurely arthritic, and injured, their bodies stiff and out of alignment. In other words, they are in pain! And why is this? Because while we know how to achieve world record results, we don't yet know how to keep the ones who achieve them healthy and pain-free after the work is done. We see basically the same kinds of symptoms in both sedentary adults and extremely active, athletic people--arthritis, pain, and discomfort. It's quite the paradox! 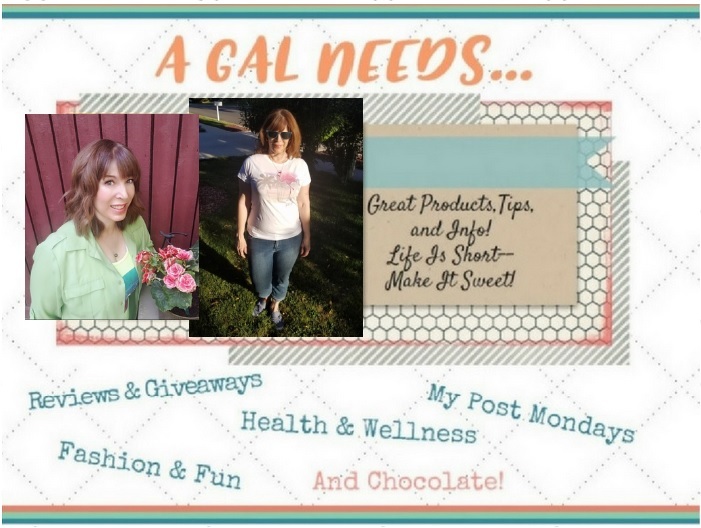 This site uses both affiliate and non-affiliate links for reference purposes. Thanks for visiting! In her new book, Forever Painless, Miranda Esmonde-White first walks us through our modern epidemic of pain and explains the reasons for that. Those reasons are very compelling and once you understand some of why pain is part of the American culture, you realize that it doesn't have to be you! Some of the commonly practiced things done to eliminate pain are actually the ones that exacerbate pain and put you in a cycle of increased discomfort! For instance, it is a common practice for doctors to tell people that they are "on the road" to joint replacement surgery. But on that road, they have no answers other than medication. They actually tell you they won't operate on you until your pain is unbearable and to come back for surgery then. Miranda has helped so many people become pain-free through her easy and convenient program. If you have an extra 20 minutes, a DVR, and a mat, you can do her program. I have done her program regularly for about 5 years and I feel like I have rid myself of bouts of shoulder, back, and even neck pain, not to mention improving my posture and lengthening my muscles! All this without any kind of diet! Forever Painless provides personal case studies for each common area of pain and a series of exercises for each pain-filled area--Knees, Hips, Back, Upper Back & Shoulder, Connective Tissue, Immune System, Arthritis, and Stress. But even as she has provided us with the exact exercises for each area of pain, this is not the way she has designed Essentrics. It is the lengthening and strengthening of muscles, working simultaneously and in harmony with those 600+ muscles in the body that will achieve the permanent results of a pain-free life. If one group of muscles becomes weak through inactivity, it will produce a ripple effect to other parts of the body, because all of the muscles and bones are meant to work in harmony with one another! So doing a complete 24-minute Essentrics workout is essential because is a whole body stretching and strengthening workout! Forever Painless served as a great resource guide for me and gives me a good reference for times when I may be out of balance in one of the areas of my body. I can then use the provided exercises to supplement my regular 'Essentrics' Workout. I've always felt that I am the best guardian of my body, not a doctor who may see me once a year, not a physical therapist that I only see after my pain is to the point I can't manage it on my own! This book motivates me even more to keep exercising, continue to be intuitive and mindful about my own health, and use tools that Miranda Esmonde-White has made available to everyone to be in charge of their own bodies and health! 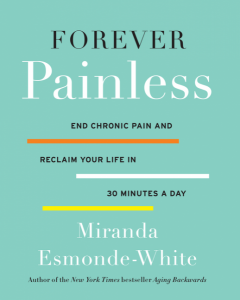 Forever Painless by Miranda Esmonde-White is an awesome book for anyone who has ever dealt with chronic pain and for those who would like to take charge of their own health. It's easier than you think! • Hardcover: 320 pages • Publisher: Harper Wave (November 15, 2016) End chronic pain—for good—with this practical guide from the PBS personality behind Classical Stretch and author of the New York Times bestseller Aging Backwards. Chronic pain is the most common cause of long-term disability in the United States. Twenty percent of American adults accept back spasms, throbbing joints, arthritis aches, and other physical pain as an inevitable consequence of aging, illness, or injury. But the human body is not meant to endure chronic pain. Miranda Esmonde-White has spent decades helping professional athletes, ballet dancers, and Olympians overcome potentially career-ending injuries and guiding MS patients and cancer survivors toward pain-free mobility. Now, in Forever Painless, she shows everyone how to heal their aching bodies and live pain free. The root of nearly all pain is movement—or lack thereof. We need to move our bodies to refresh, nourish, and revitalize our cells. Without physical activity, our cells become stagnant and decay, accelerating the aging process and causing pain. People who suffer chronic pain often become sedentary, afraid that movement and activity will make things worse, when just the opposite is true: movement is essential to healing. In Forever Painless, Miranda provides detailed instructions for gentle exercise designed to ease discomfort in the feet and ankles, knees, hips, back, and neck—allowing anyone to live happier, healthier, and pain-free no matter their age. Miranda Esmonde-White is one of America's greatest advocates and educators on healthy aging. She is best known for her PBS fitness show Classical Stretch, which has been on the air since 1999. A former ballerina, she designed the Essentrics technique, which uses low-intensity strength and stretch exercises to relieve pain, prevent injury, and slenderize the body. Esmonde-White works with professional and Olympic athletes and celebrities, and teaches classes to thousands of students worldwide each year. Follow Esmonde-White on Facebook.